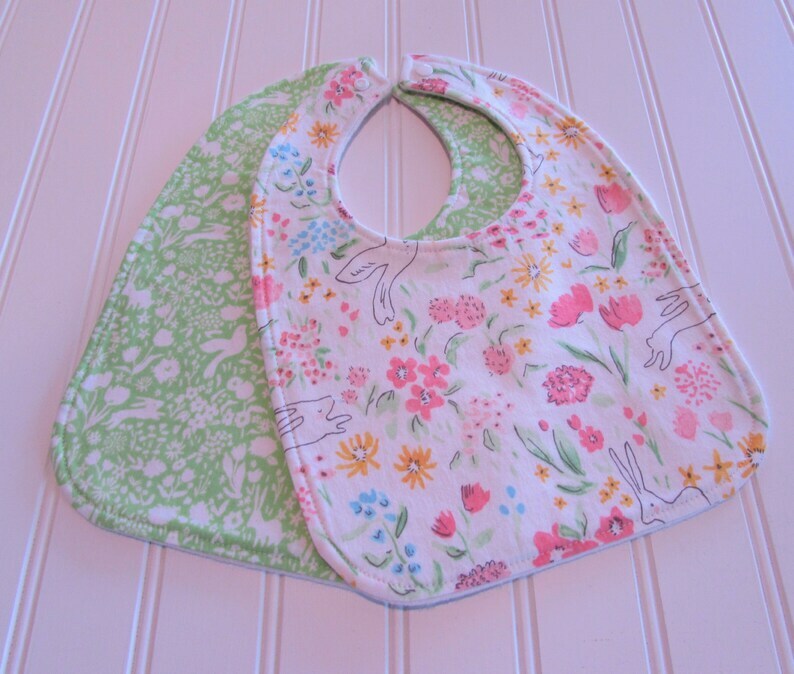 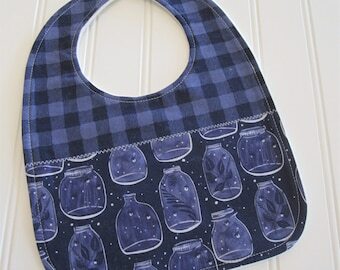 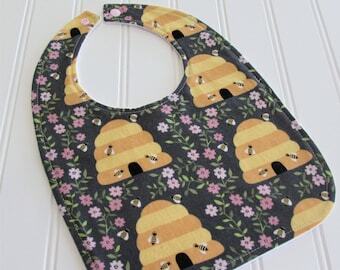 Fabric: Bib one features Garden in Bloom and bib two is Garden Shadow in Meadow. 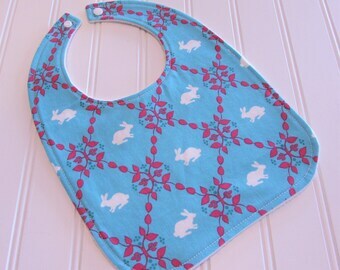 Fabrics are from the line Sommer by the fabulous Sarah Jane. 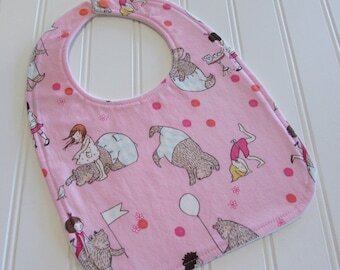 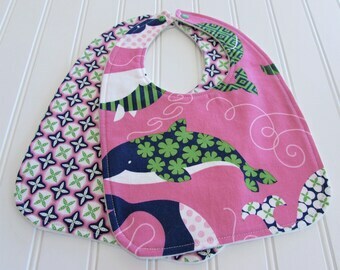 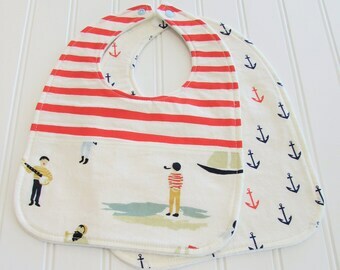 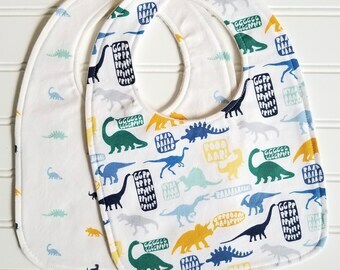 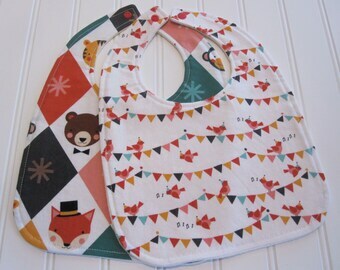 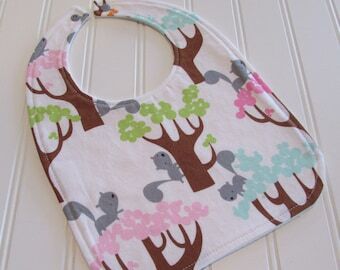 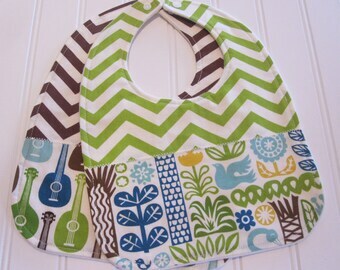 Both bibs are backed in organic cotton fleece in vanilla.